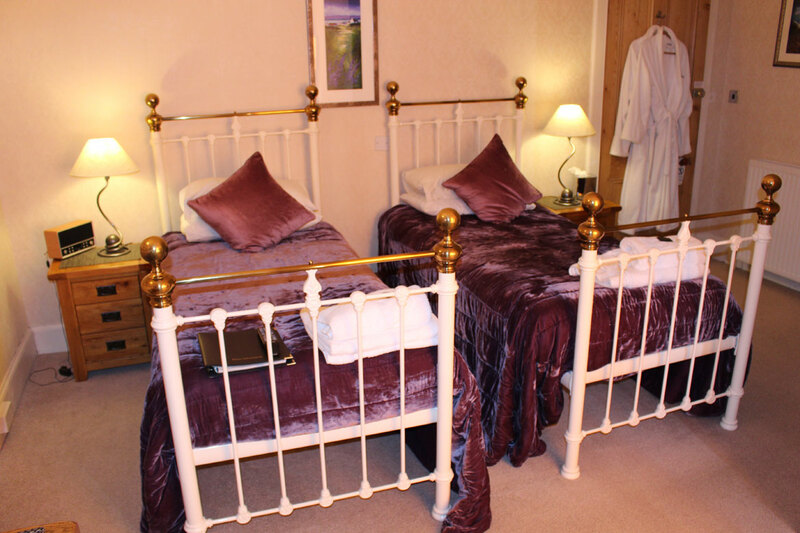 Twin and double rooms available with en-suite. 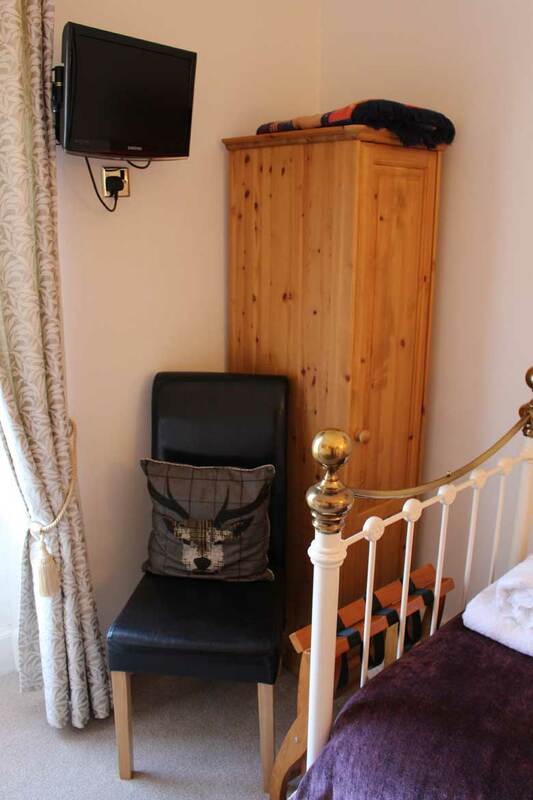 Single rooms available with shared bathroom. 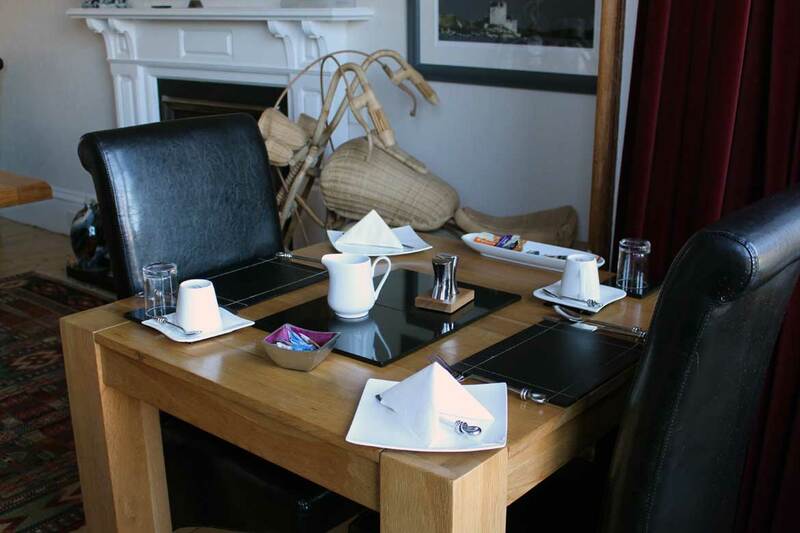 Prices from £40 per person per night on a low season and from £50 per person per night on the high season and include Full Invernevis Scottish breakfast with an option of continental or, with prior notice, vegetarian. 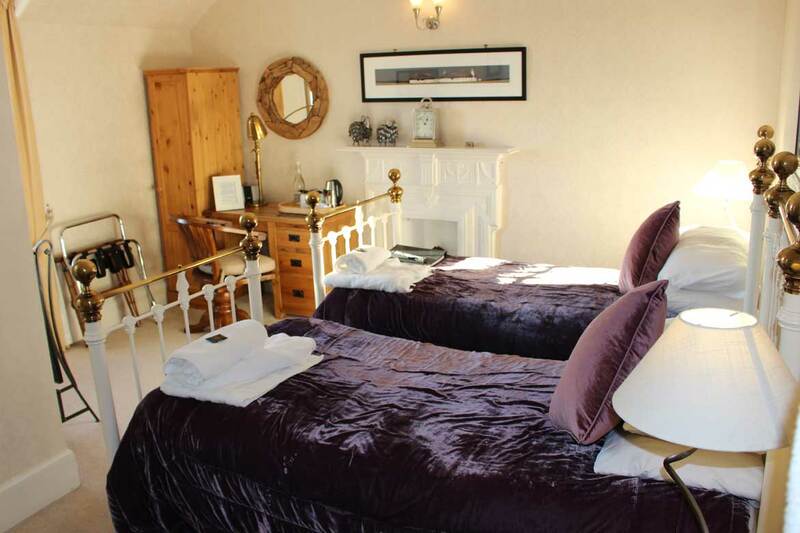 Room One is a comfortable twin room that overlooks the rear garden of the property. 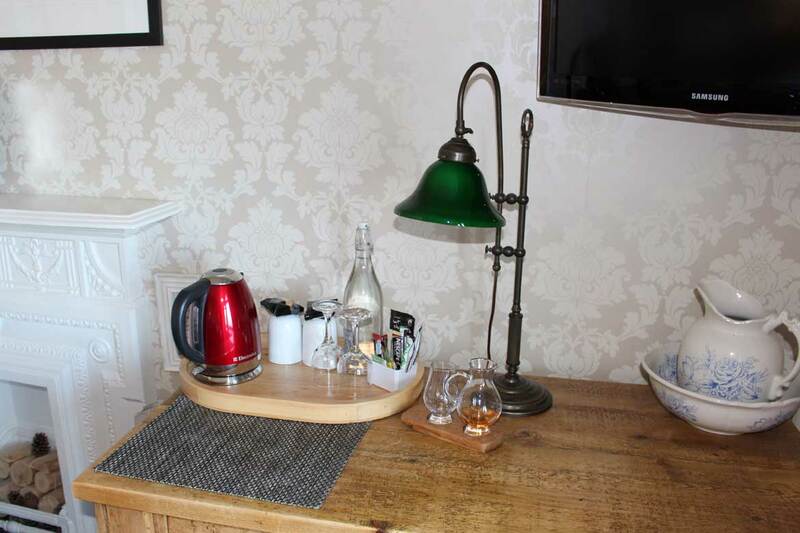 The room is furnished with a hospitality tray, flat screen TV, radio, hairdryer and bath robes or dressing gowns, this room has an en-suite shower room. 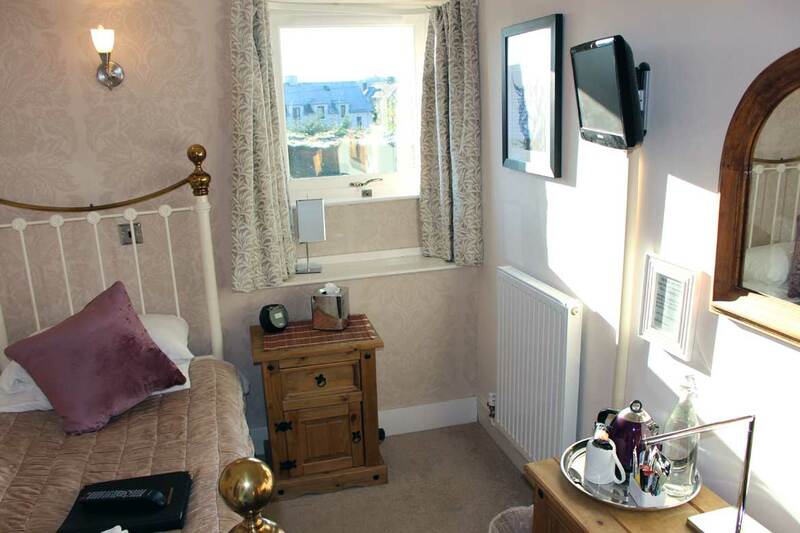 Room Two is a comfortable single room for single occupancy and overlooks the side of the property. 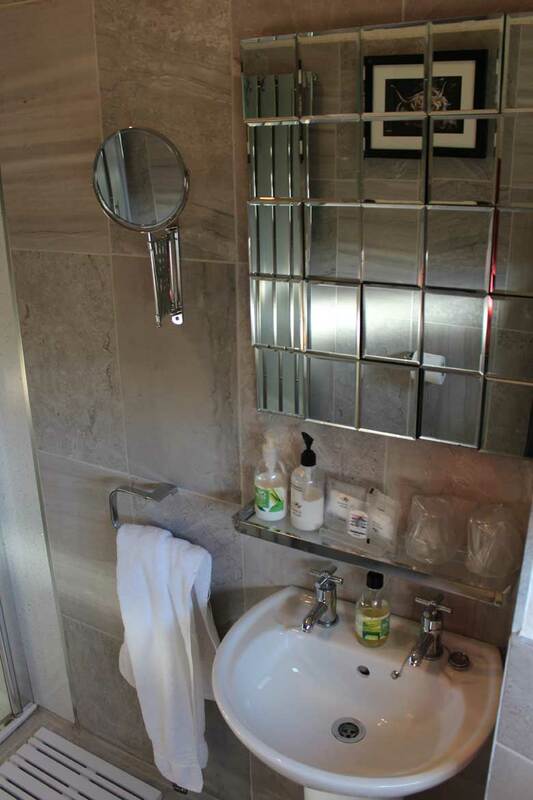 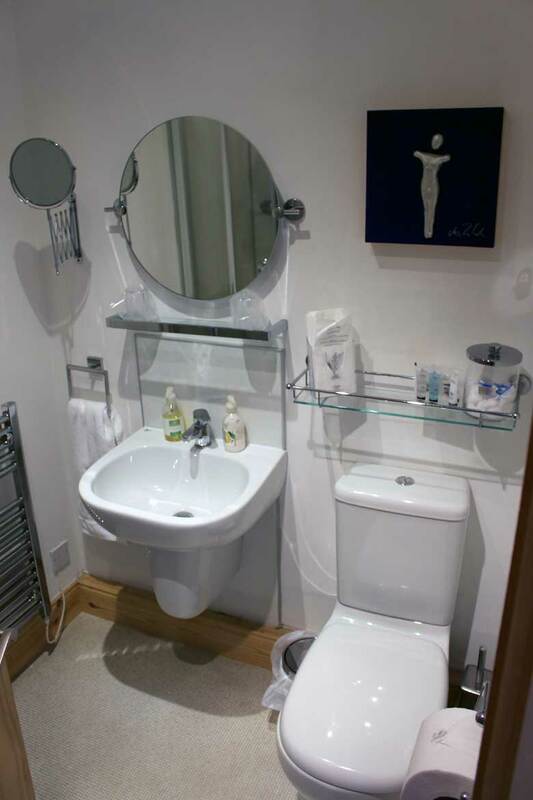 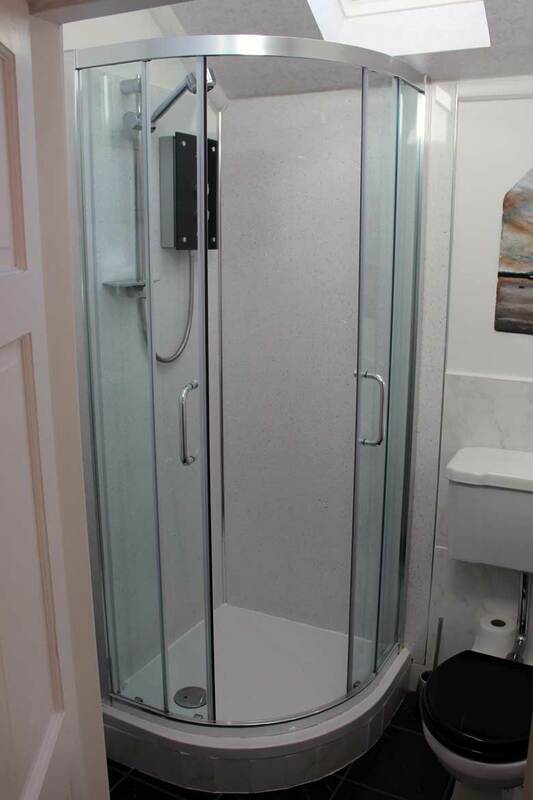 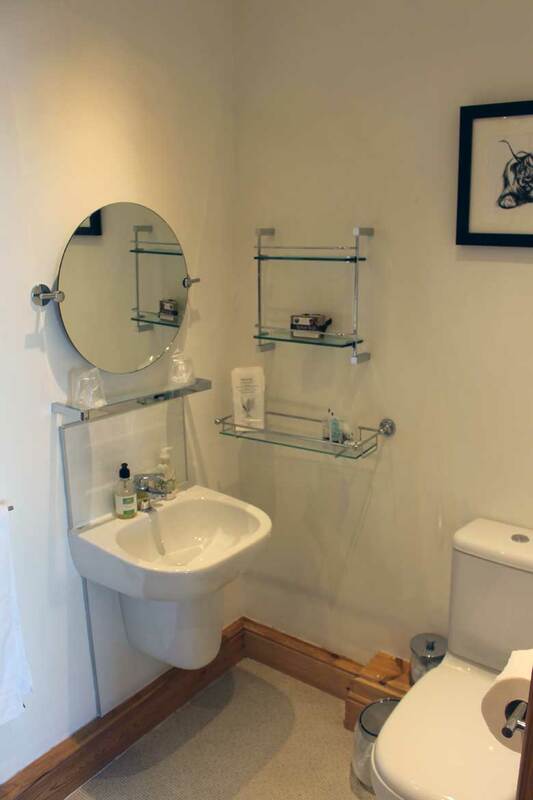 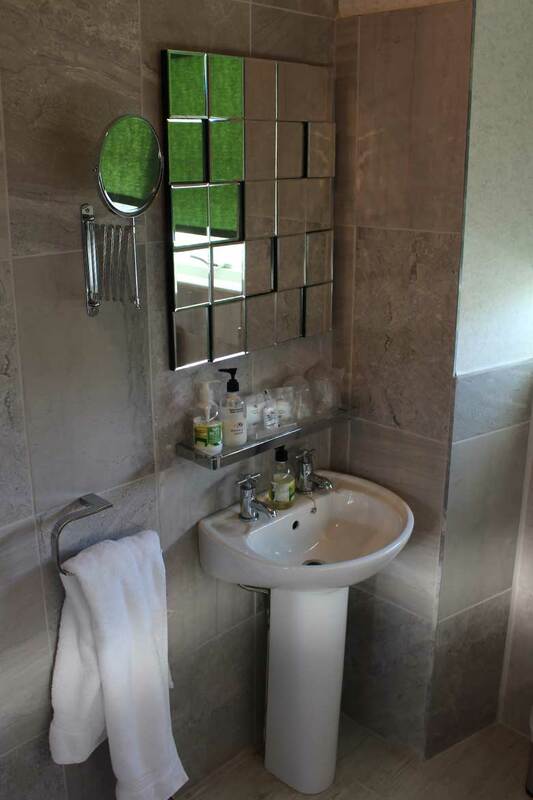 The room is furnished with a hospitality tray, flat screen TV, radio, hairdryer and bath robe or dressing gown, there is a sink in the room however this room shares the main shower room with Room Five. 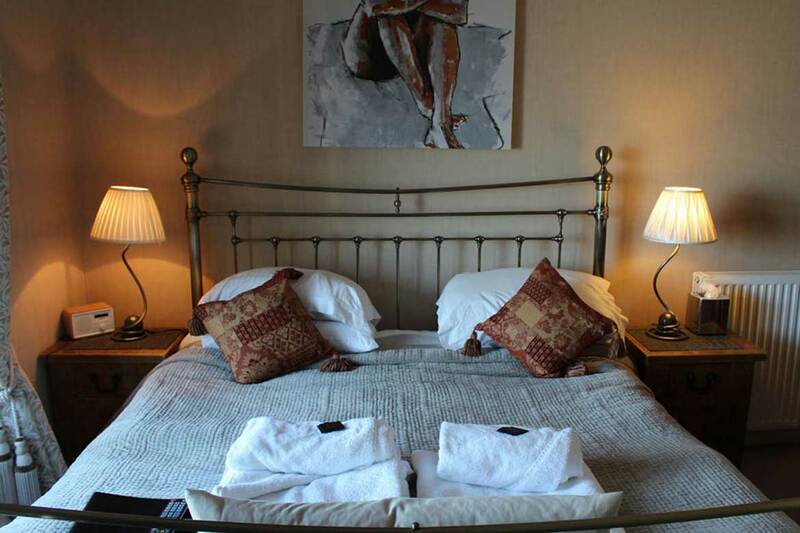 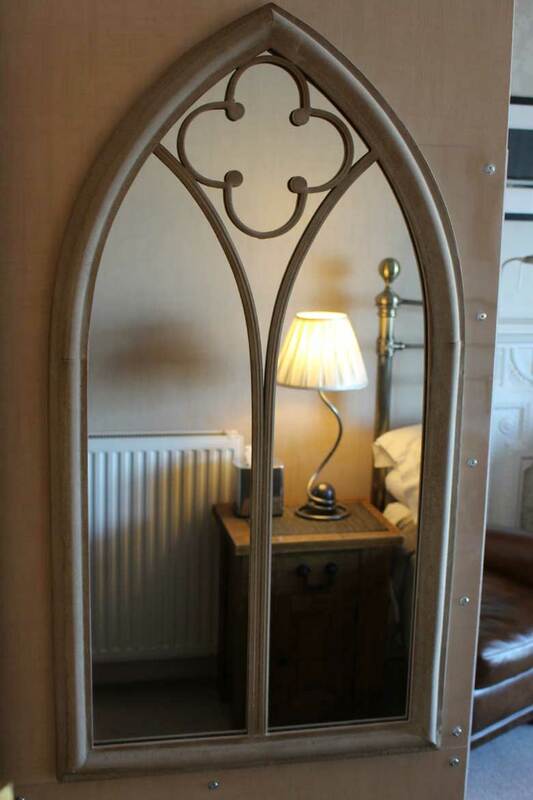 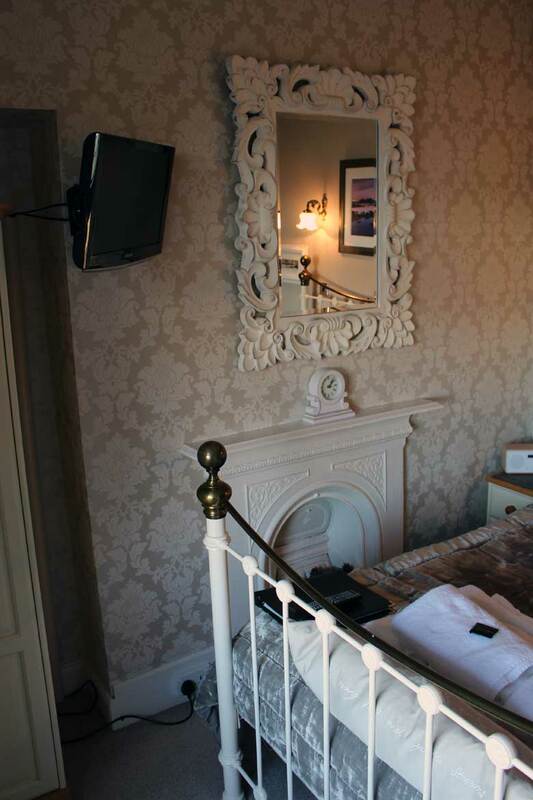 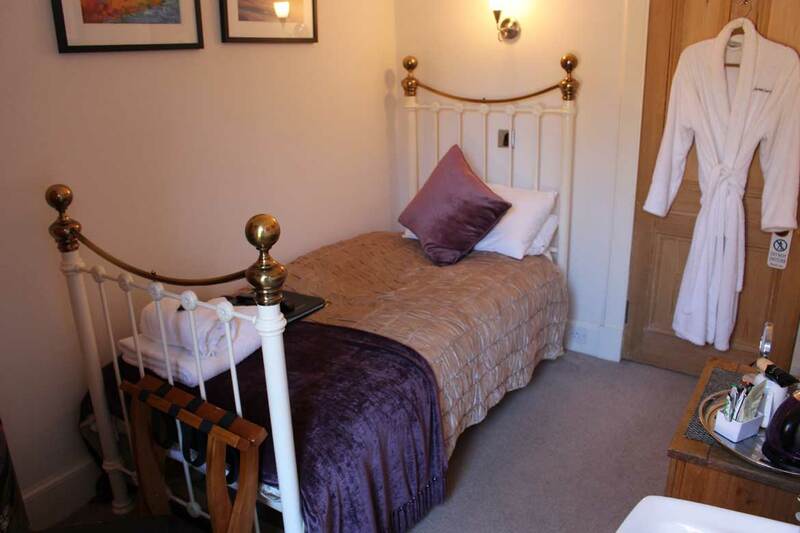 Room Three is a large double room that overlooks the front of the property. 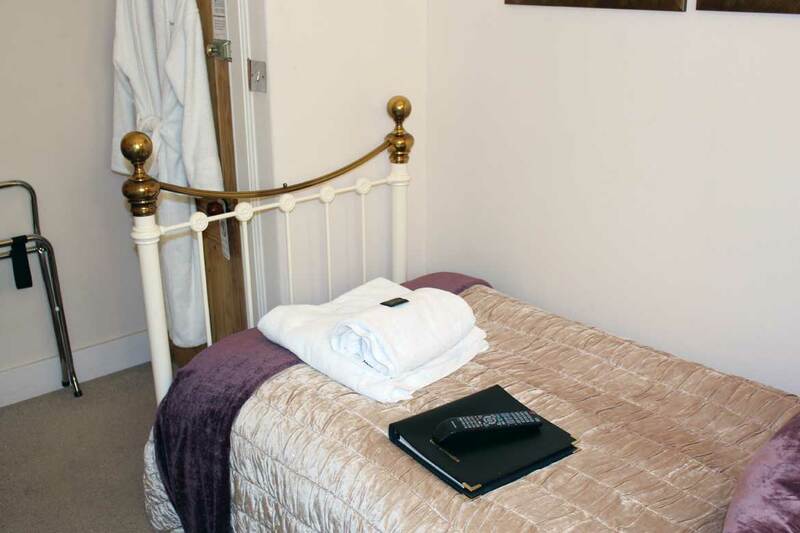 This room has a King Size bed and is furnished with a hospitality tray, flat screen TV, radio, hairdryer and bath robes or dressing gowns, this room has an en-suite shower room. 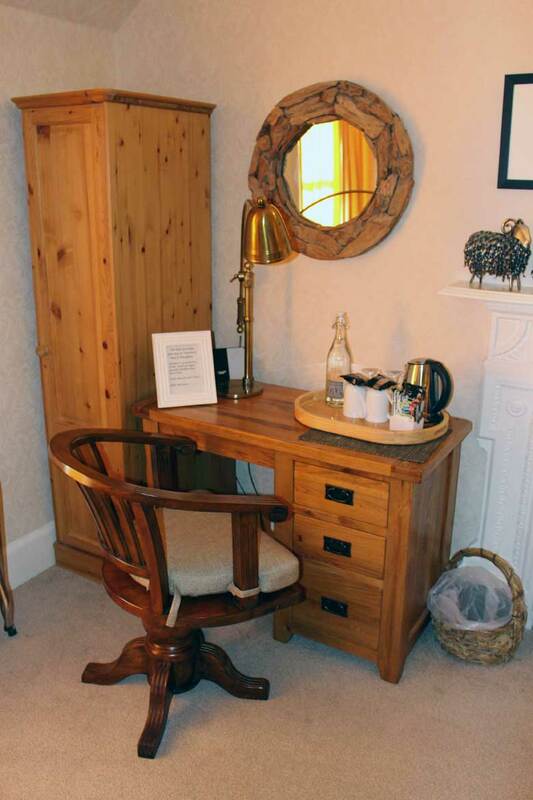 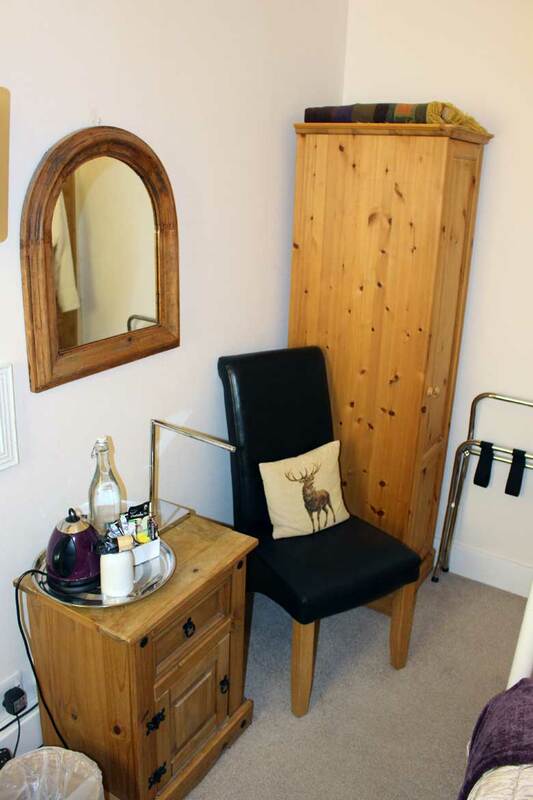 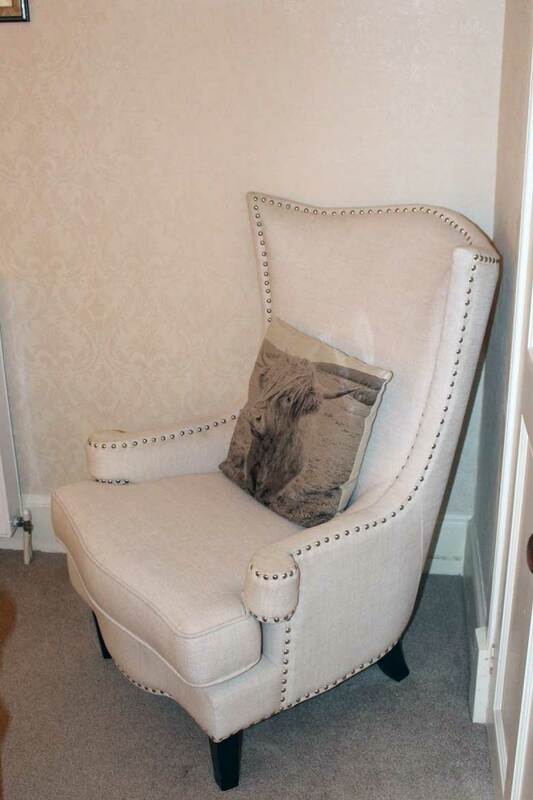 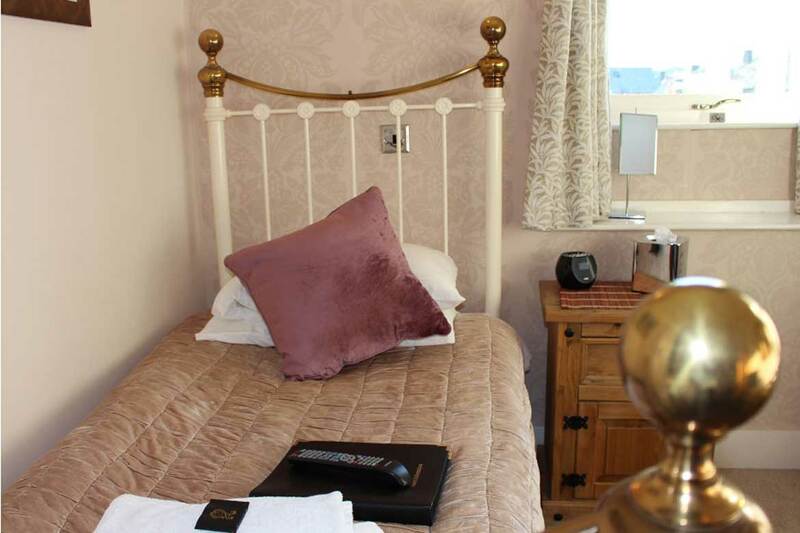 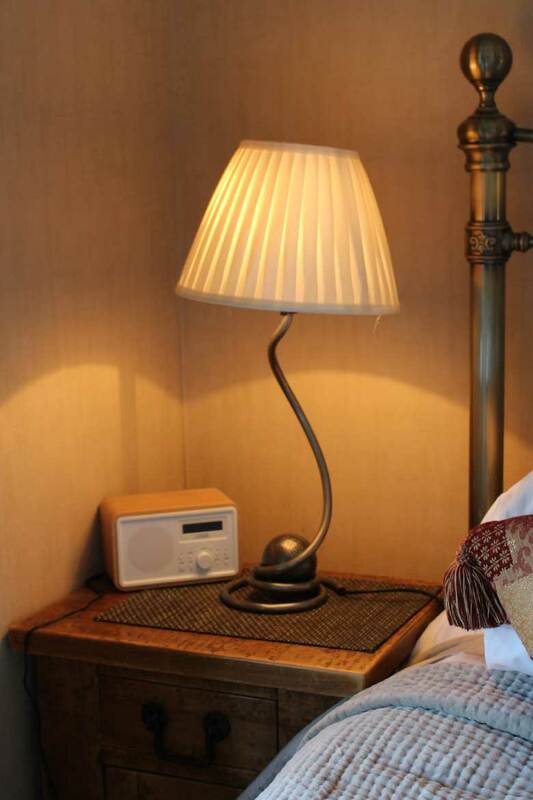 Room Four is a comfortable small double room that overlooks the front of the property, furnished with hospitality tray, flat screen TV, hairdryer, radio and bath robes or dressing gowns. 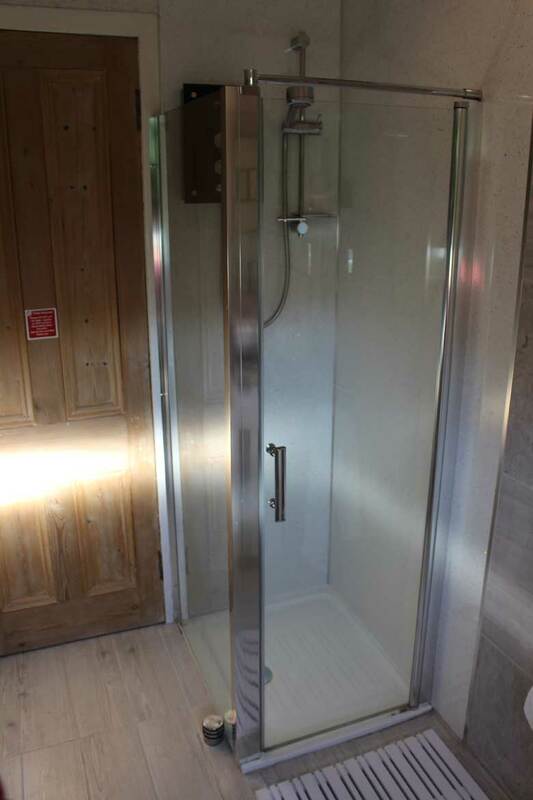 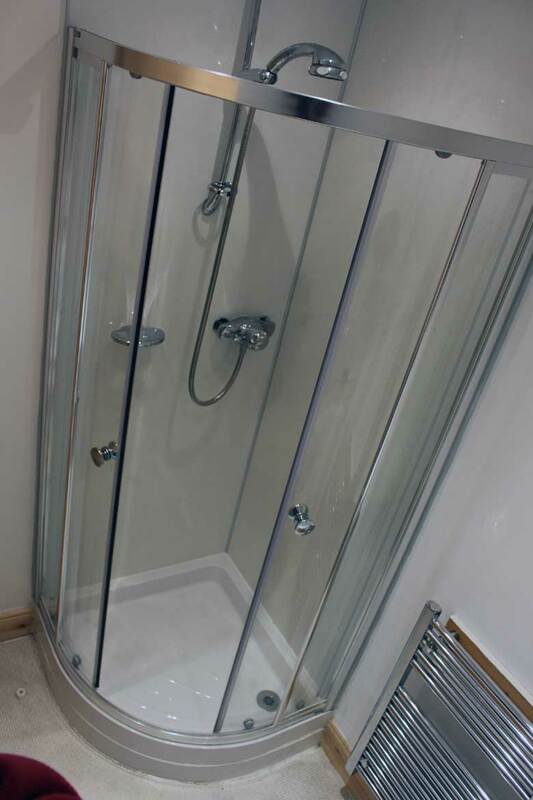 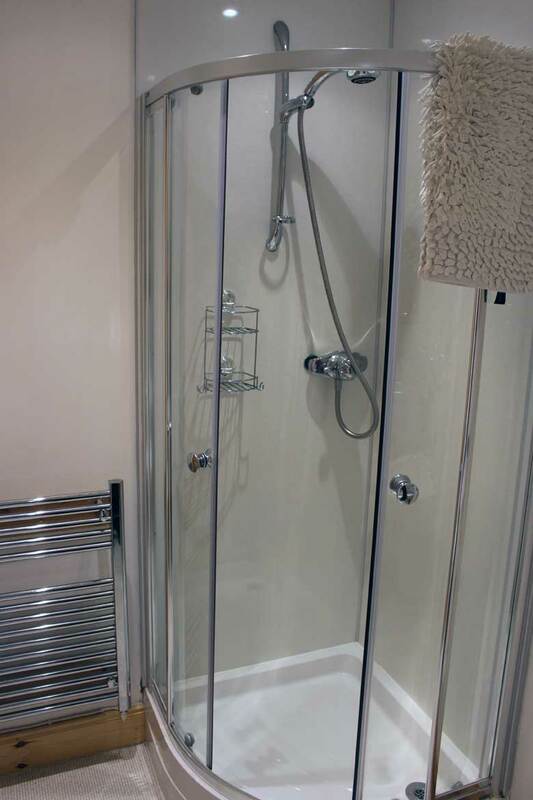 This room has en-suite shower room. 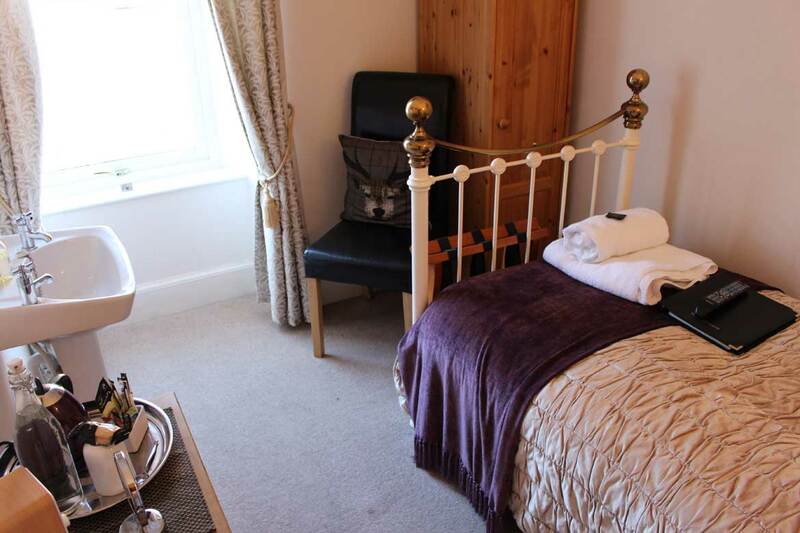 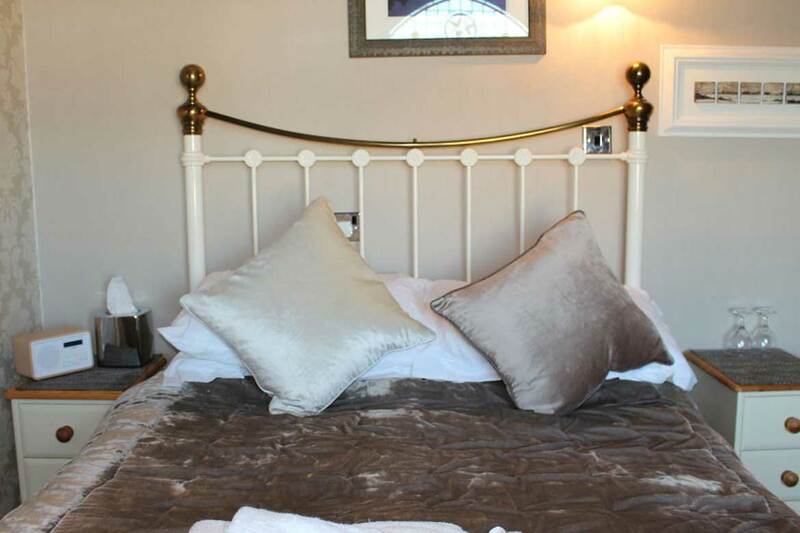 Room Five is a comfortable single room for single occupancy, over looking the rear garden of the property it is furnished with hospitality tray, flat screen TV, hairdryer, radio and a bath robe or dressing gown. 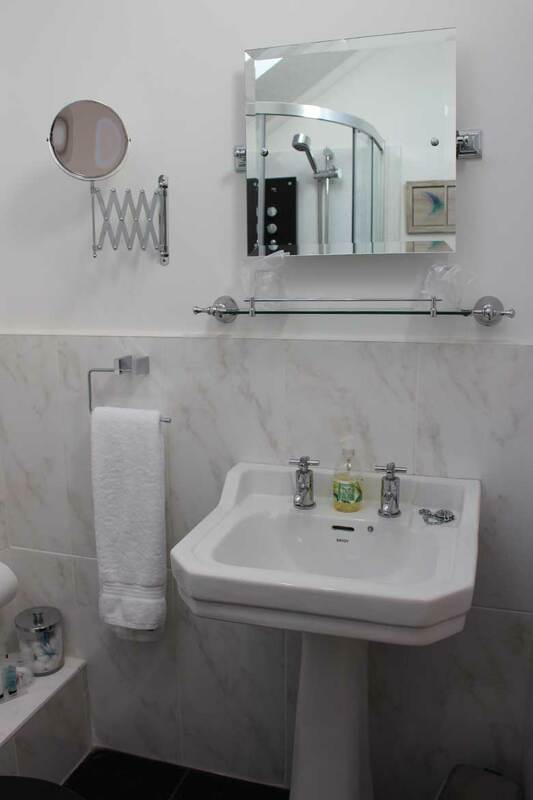 This room shares the main shower room with room two. 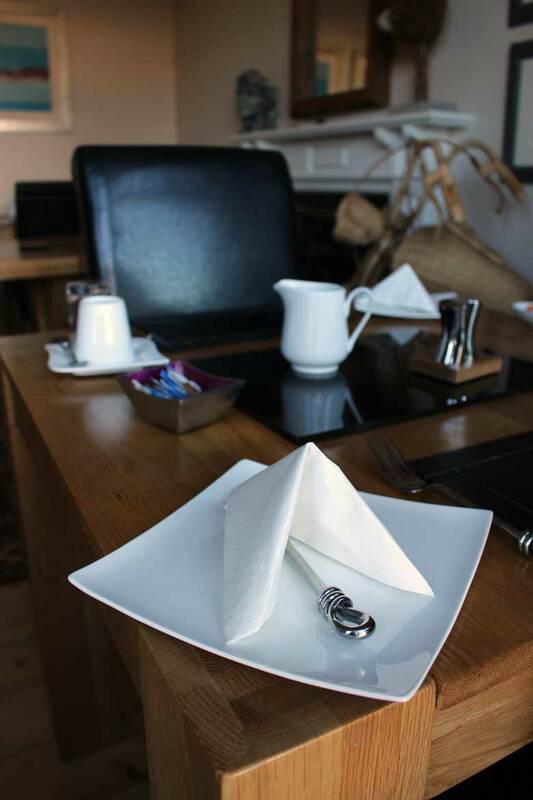 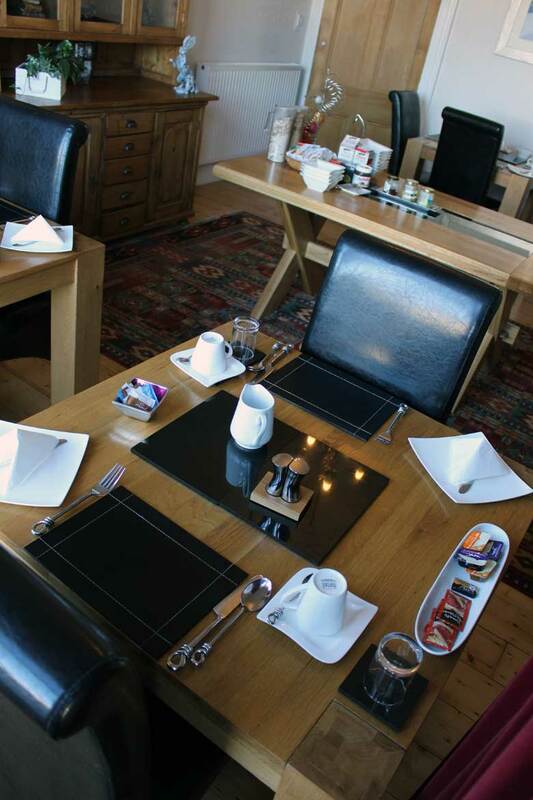 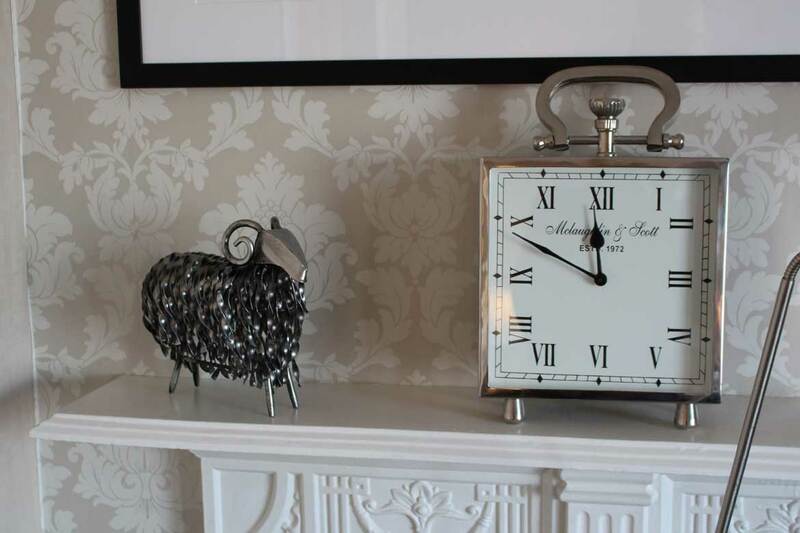 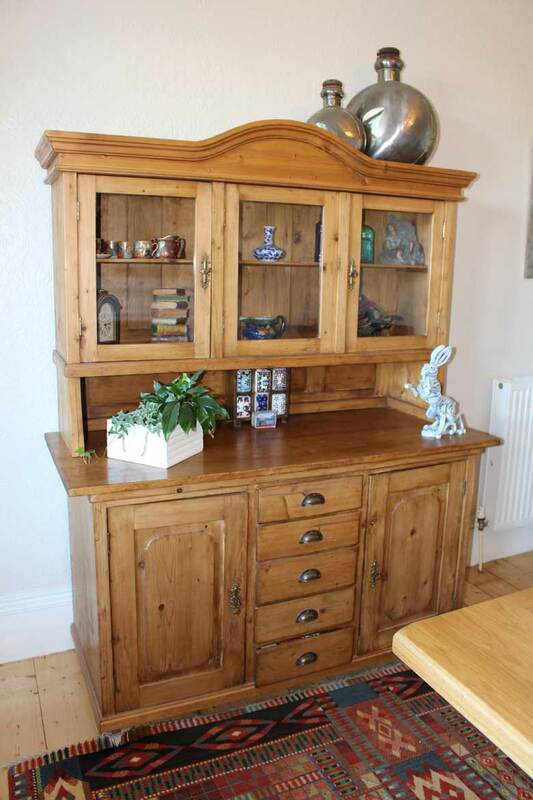 The comfortable breakfast room is where guests are served freshly prepared hot breakfasts,tea coffee and toast. 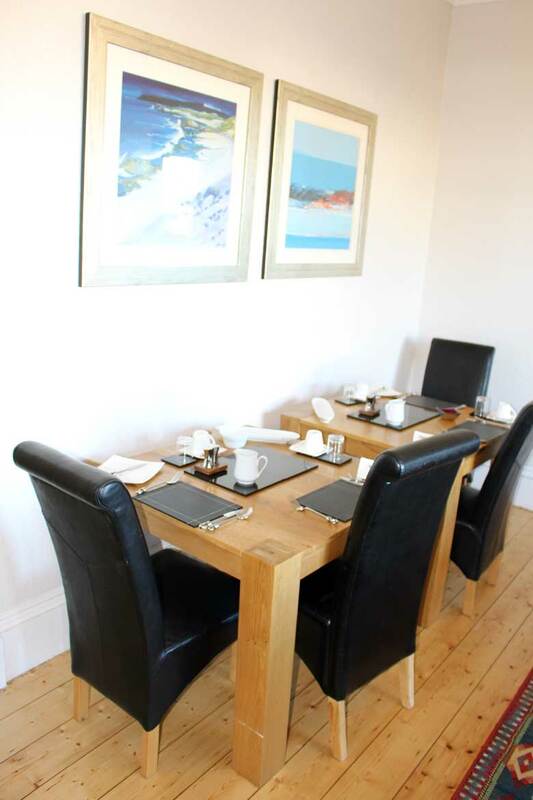 Guests also have a choice of fresh fruit, yogurts, cheese and biscuits and a choice of fruit juices. 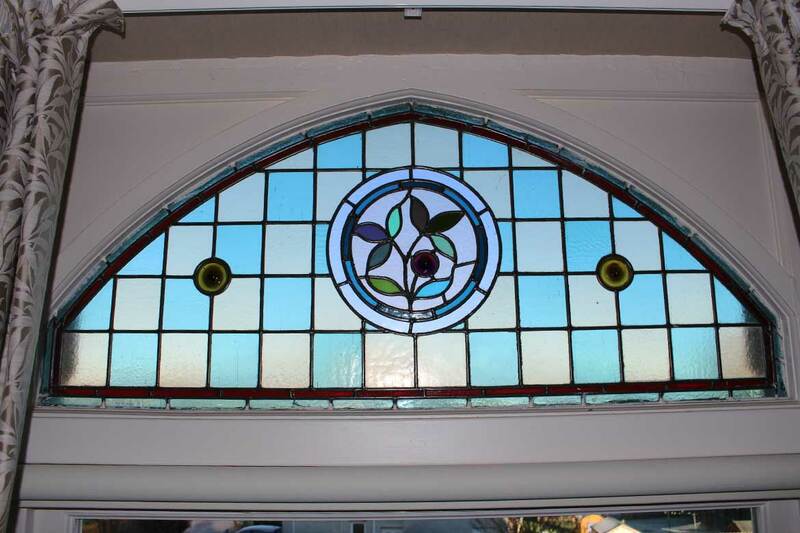 The breakfast room looks over the front garden. 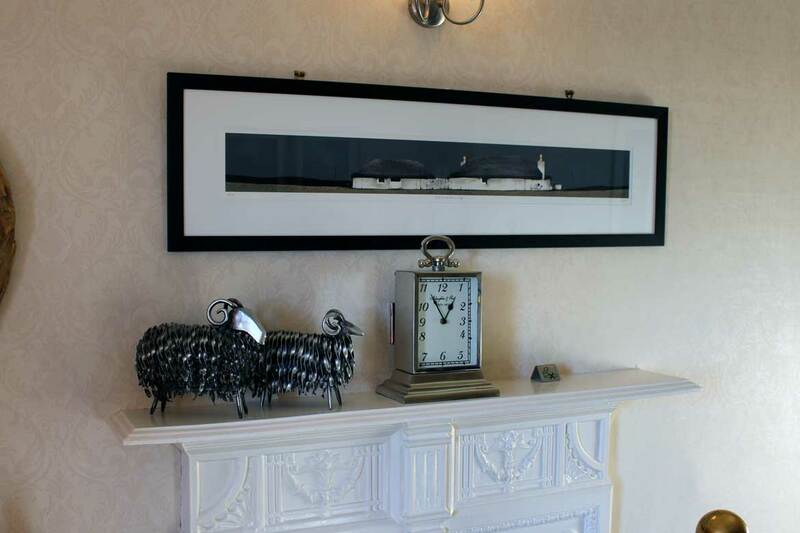 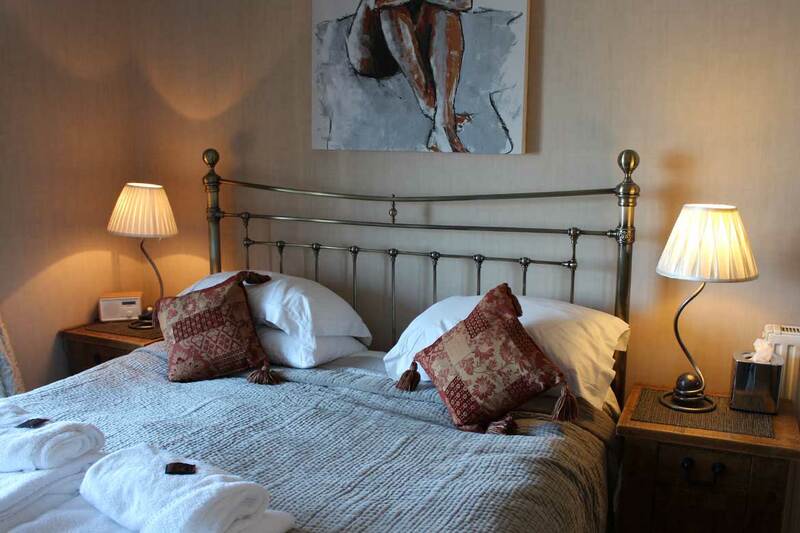 Invernevis offers very comfortable accommodation including Victorian cast iron bedsteads and the original fireplaces in the bedrooms. 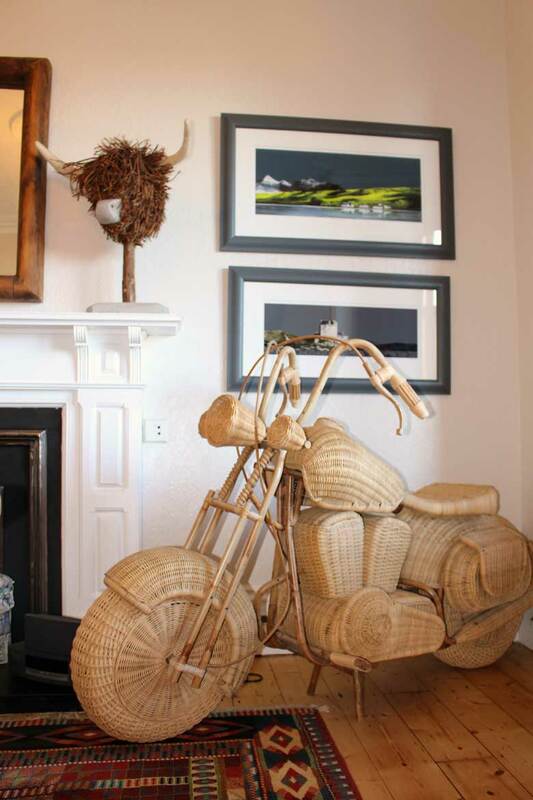 Invernevis is motorbike friendly and provides a small undercover parking area for Bikes.